Max has an impressive track record that requires two deep breaths to get through. 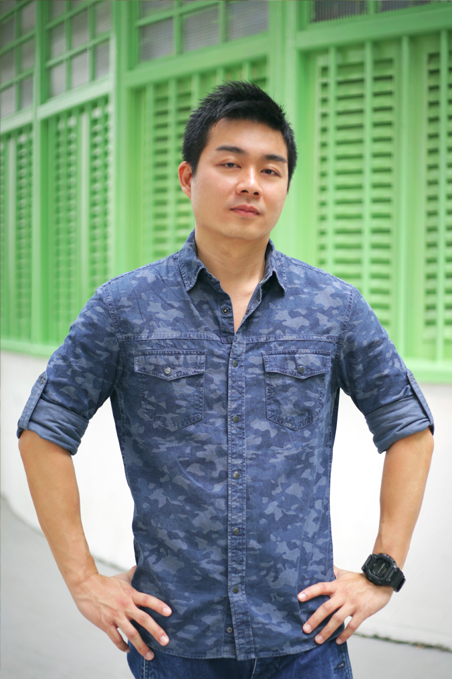 With almost a decade of experience in the media industry, he has worked as Production Manager and Producer on a multitude of projects spanning films, television programs and print advertisements. Some titles include English language productions such as AXN’s ‘The Kitchen Musical’ and foreign language shows such as the French drama, ‘Déjà Vu Season 2’, as well as the German telemovie, ‘The Last Patriarch’. Max then expanded his repertoire into events, managing the production of musicals, concerts and the ultimate fright fest: Halloween Horror Nights 4 at Resorts World Sentosa. So if you’re looking for someone to blame (or thank) for the recurring nightmares or your no-longer-secret high-pitched screams, look no further. He is no stranger to Refinery Media. Back in 2012, Max was a stellar Production Manager on our first Mandarin multiplatform singing reality production, Sunsilk Academy Fantasia. Now, he returns Iike a much-anticipated sequel: Bigger, Better & Stronger, as Max: The Senior Producer. Between the multifaceted scopes of line producing and production management, Max always manages to stay as cool as a cucumber. Probably because he takes it out on the open waters while wakeboarding or at the gym sweating it out. Whatever it is, in our office, he’s made ‘Keep Calm and Be Max’ a thing.